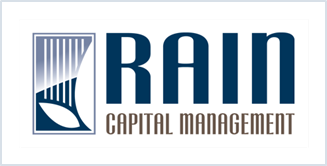 Rain Capital Management | What scatters, what sticks together, and why? After all, the correlation between a man and his dog tethered by a leash will be far more integrated and persistent than even that between husband and wife, who may at some point go different directions to run errands only to converge again later at home; or the neighbors who, having done their business at the yard sale, go separate ways, versus the perfect strangers who happened to be walking next to each other by pure coincidence. Often times, the only way to tell the difference is to measure how each pair reacts during that brief moment when a car drives by, or to capture data over staggered intervals of time (before and after the yard sale), and so on. Which scatter, which stick together, and why? This is an excerpt from our article “Information Days: What scatters, what sticks together, and why?” published October, 2013.